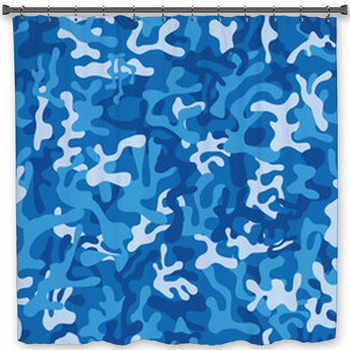 Use our air force bath décor to express your gratitude and pride for the high flying branch of the US armed forces. The brave men and women who served, as well as those who are still serving, dedicate themselves to rigorous duty and a passion for soaring through the open sky. 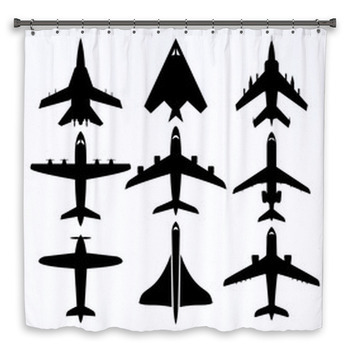 If you have a love for airplanes and aviation, you're sure to love the stunning images shown on these air force bath decor selections. 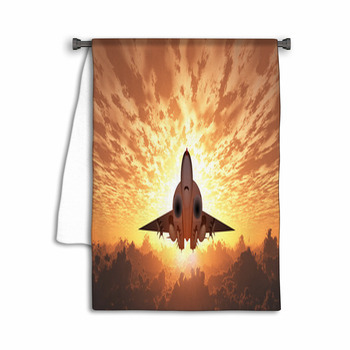 Few sights are both as dramatic and serene as that of a jet fighter piercing the heavens as it soars high above glowing clouds. 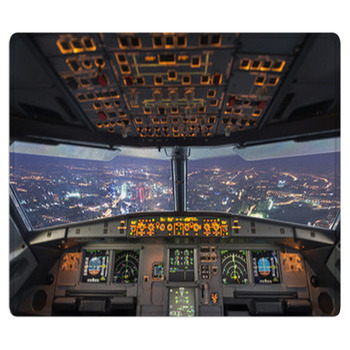 You don't have to dedicate yourself to being a world-class pilot to enjoy the scenery they get to experience. Get up close and personal with the newest aircraft used in their operation as it sits on the flight deck on an aircraft carrier in front of a golden orange sunset. 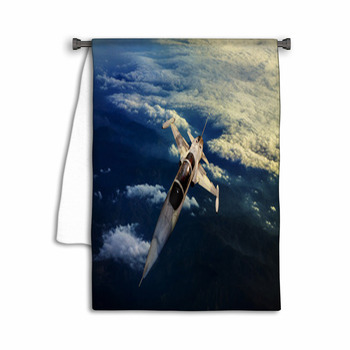 If you have your own images from your days flying, feel free to customize and personalize your own bath decor! 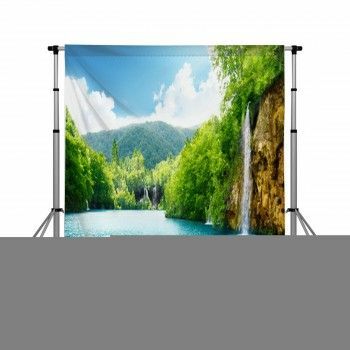 Our personalization options allow you to put your flight number atop one of our camouflage backdrops, or maybe even include a breathtaking picture of flying that you already cherish in your memories. 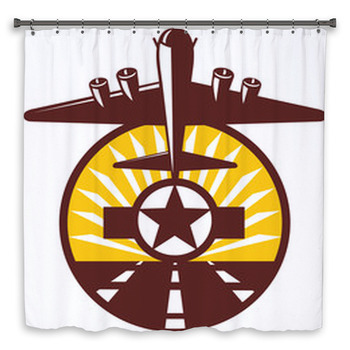 Add your own memories to our air force themed bath decor! 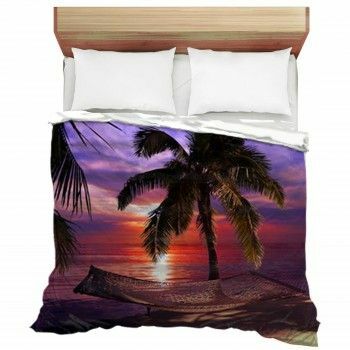 Our custom size shower curtains, bath mats, and towels present the beautiful views seen above the clouds. 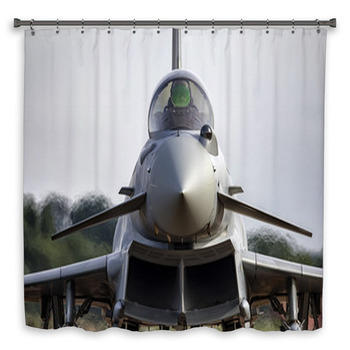 The incredible modern equipment that the air force uses is also featured, including especially their beautifully engineered aircrafts All three of our bath decor products come with a variety of striking images including flight helmets and fighter-jet silhouettes. 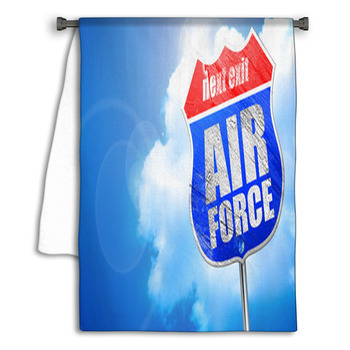 Decorate your bathroom with our air force bath decor together with a military designed wall art and feel the honor and adventure this brings when you step into the shower. 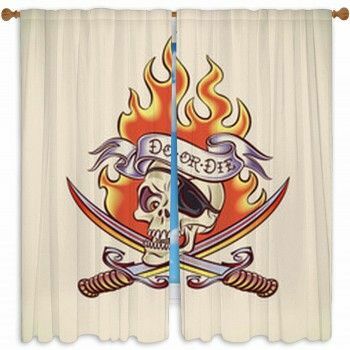 Find a theme of flying planes, or saluting soldiers, or screaming eagles that represent America. 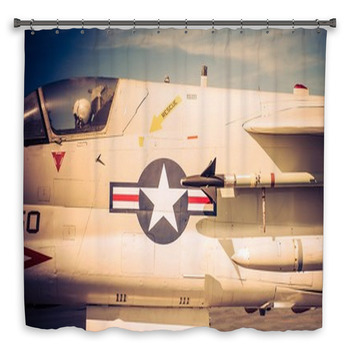 You can include planes on your bath mats, towels, and shower curtains, or you could mix and match to showcase all that the American armed forces stand for. 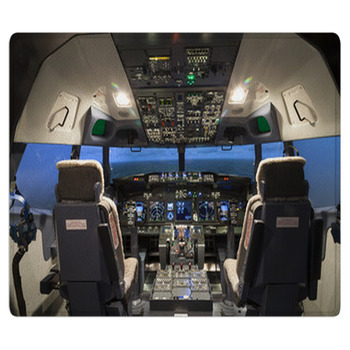 Remind yourself of your days flying the skies in service to our country. 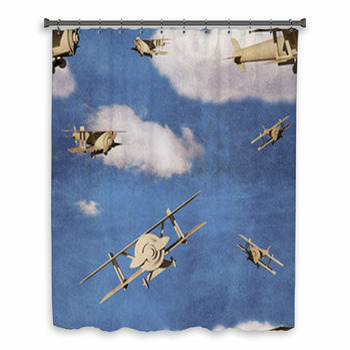 You deserve to be proud, and you can see the pride in our US Air Force in each of our bath decor designs. 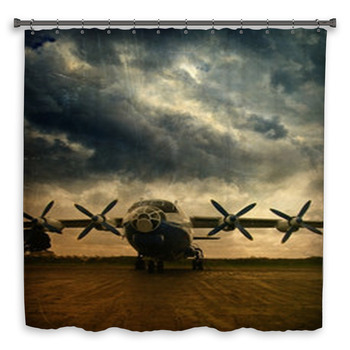 Step out of the shower and onto the flight deck with VisionBedding's bath decor.